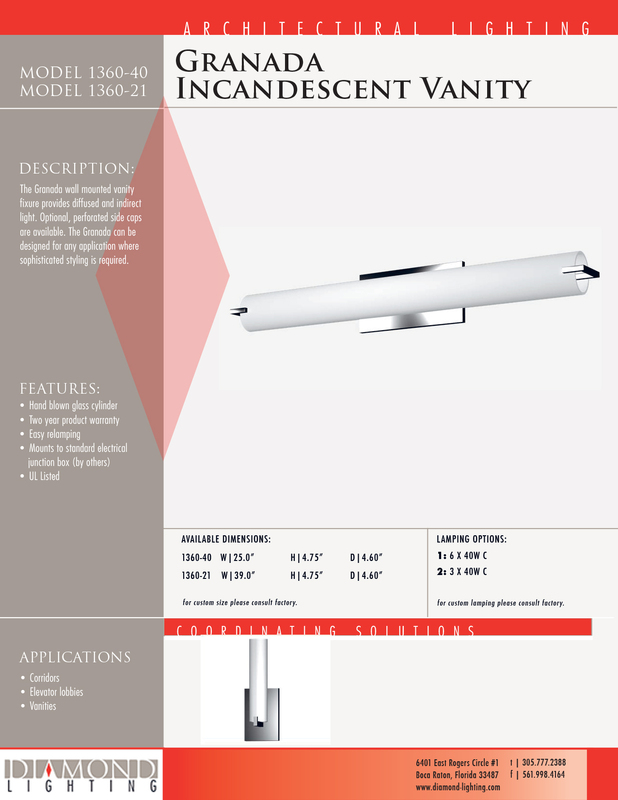 The Granada wall mounted vanity fixture provides diffused and indirect light. 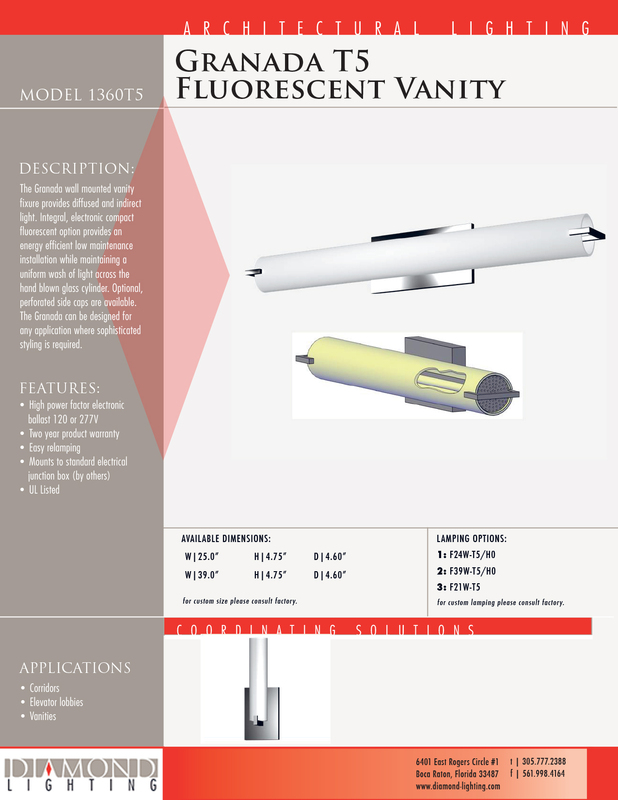 Integral, electronic compact fluorescent option provides an energy efficient low maintenance installation while maintaining a uniform wash or light across the hand blown glass cylinder. Optional, perforated side caps are available. The Granada can be designed for any application where sophisticated styling is required. The Granada wall mounted vanity fixture provides diffused and indirect light. Integral, electronic compact fluorescent option provides an energy efficient low maintenance installation while maintaining a uniform wash of light across the hand blown glass cylinder. Optional, perforated side caps are available. The Granada can be designed for any application where sophisticated styling is required. 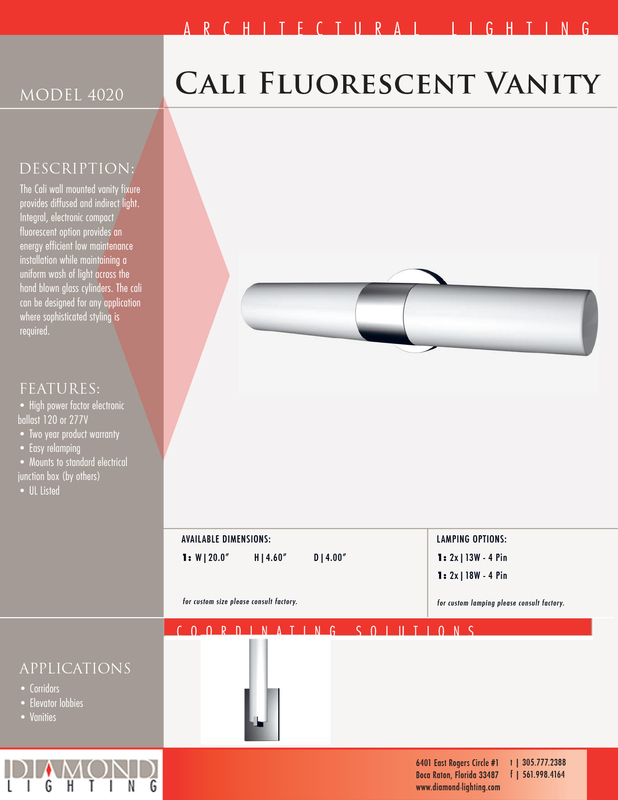 The Cali wall mounted vanity fixture provides diffused and indirect light. Integral, electronic compact fluorescent option provides an energy efficient low maintenance installation while maintaining a uniform wash of light across the hand blown glass cylinders. The Cali can be designed for any application where sophisticated styling is required.